I always encourage my clients to brainstorm when it comes to coming up with an interesting location for an engagement shoot. 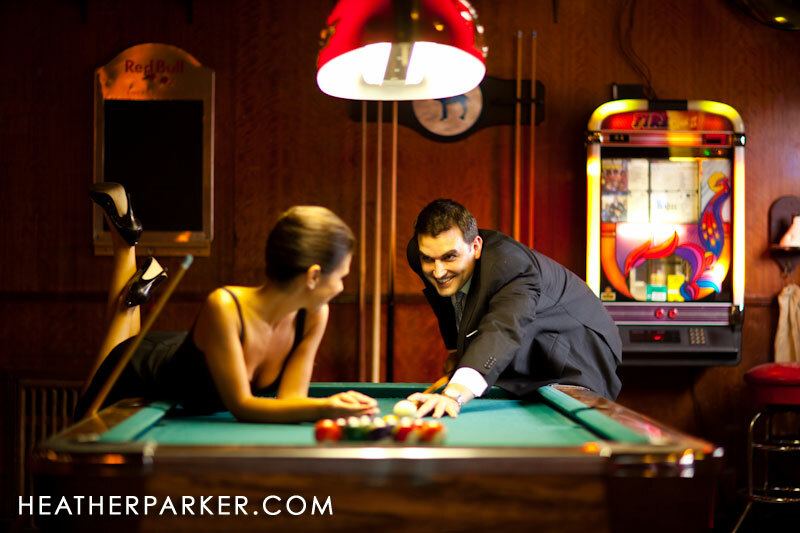 Tara and Sam knew right away that they wanted to pick a venue that meant something to them. 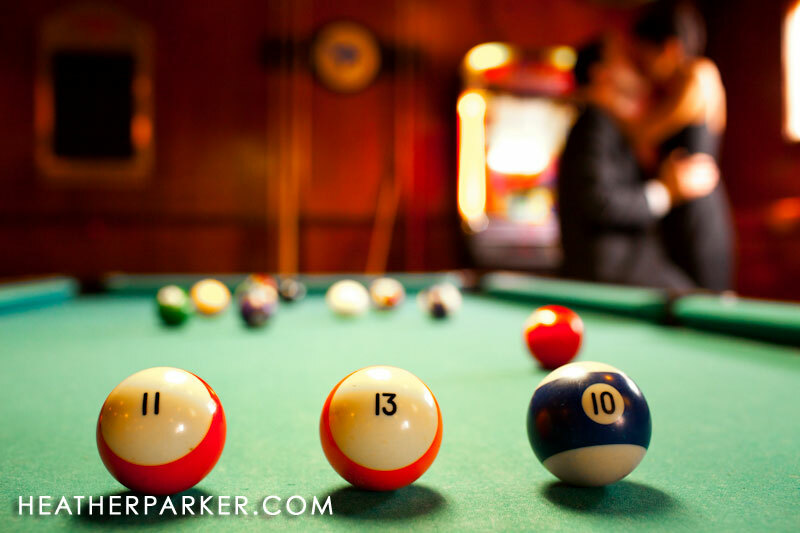 They called ahead for permission and chose a location with a bar, billiards, and a bowling alley that dated back to the 1940s. Rain or shine, a space like this works great. I love the idea of glamming it up at a fun location! Tara also used the date as an opportunity to do a hair trial before her wedding with Holly Kasprisin.